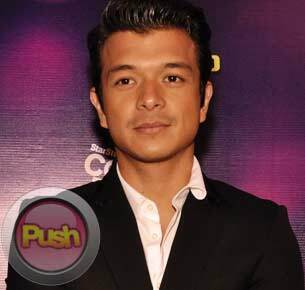 Jericho Rosales reveals what's in store for his musical career in the next few months. After winning the Song of The Year Award in the recent Star Awards for Music, Jericho Rosales excitedly revealed that Star Records already have plans of creating a new album for him next year. "Jonathan Manalo of Star Records approached me and then he said, 'lsquo;Echo, how'rsquo;s your songwriting? 'rsquo; I said, 'lsquo;Yes, I write all the time. 'rsquo; 'lsquo;Because in your next album we want to promote you as a singer-songwriter so we'rsquo;ll have more originals. 'rsquo; So sabi ko, 'lsquo;Game! Let'rsquo;s do this. So tuloy-tuloy lang yung rehearsal. I have my singing career and at the same time acting which for me is the best of worlds," stated Jericho who'rsquo;s also busy taping Green Rose opposite Anne Curtis. Fresh from his successful gig in General Santos City, Jericho further shared that he'rsquo;s really grateful to be given the chance to make the most out of his musical career. "We'rsquo;ve been getting calls din and the office (Manila Genesis Entertainment 'amp; Management Inc.) is just as excited as I am kasi ang daming ideas na lumalabas. We'rsquo;re planning to mount a bar tour the last quarter of this year in preparation for a concert next year. I'rsquo;m just so excited kasi sabi nila Tita Angeli (Pangilinan-Valenciano, his manager), 'lsquo;O Echo you got to have a concert. 'rsquo; Sabi ko, 'lsquo;Oh my God! 'rsquo; Kasi I was just watching my last concert sa DVC and I was like, I want to do it again kasi ang dami kong corrections. Alam mo yung parang ayaw mong panoorin sarili mo kasi naiinis ka kasi you want to do better next time? So nanggigil ako lalo," he admitted with a laugh.